Iran’s resistance to Western influence is the only reason NATO has not encircled Russia completely, thus enabling the US to defeat its only military rival, consolidating its dominance in the world, says Iran's Foreign Minister Ali Akbar Salehi. 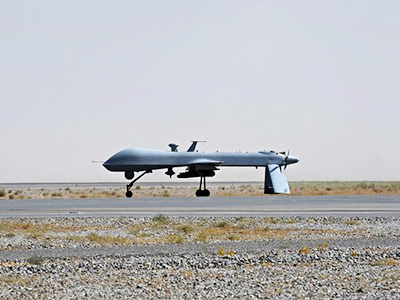 ­RT: The West is suspicious of Iran's nuclear program, while you insist that you have peaceful intentions. What is Iran going to do to convince the West that your nuclear program is intended to serve peaceful purposes? Ali Akbar Salehi: The only international body that has the authority to evaluate our activities is the IAEA, and no state is allowed to accuse Iran regarding its nuclear program outside IAEA boundaries, or to initiate any international action against Iran. This is why we pay no attention to the West's claims regarding our nuclear research. 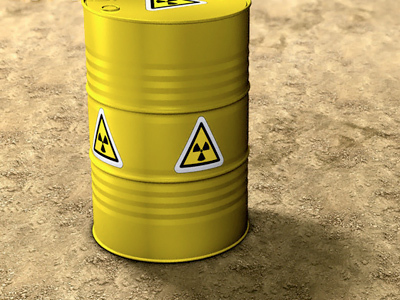 Iran is a member of the IAEA and a party to the Non-Proliferation Treaty. 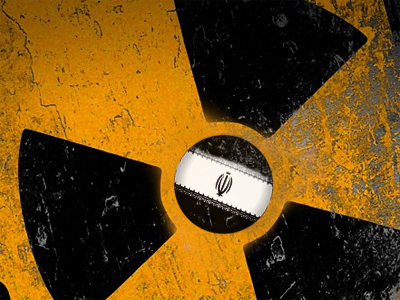 Iran is going to respect that treaty, since nuclear non-proliferation is in our interests as well. I confirm that Iran has made its intentions quite clear with regard to its nuclear program, proving that it is peaceful. This is further reaffirmed by the fact that the IAEA did not state in any of its reports that there is any military activity going on in Iran’s nuclear sector. As for our intentions, how can the United States accuse us of pursuing non-peaceful purposes while America itself was the first nation ever to use nuclear weapons, killing hundreds of thousands of innocent civilians in Japan? This is why we have no faith in America's intentions, as history shows it cannot be trusted. During our war with Iraq, Saddam’s regime used chemical weapons against Iran, but we did not respond in kind, since Iran's policy is based on Sharia Law, which forbids us from producing, storing or using nuclear weapons. It lays the foundation for our constitution, our policies and our views. RT: The West has insisted on establishing control over uranium enrichment in Iran, while Iran remains reluctant. How long can this situation continue? AAS: Everybody should realize that Iran has reached a point in its nuclear research where it is impossible to stop or go back, since Iranian nuclear technology has gone beyond that point. Nuclear technology has developed into a domestic industry in Iran, spreading all across the country and becoming a fact of life for many Iranians. Now that we have educated and trained thousands of nuclear scientists, how can the West or the entire world stop us from enriching uranium? This has become a fact of reality. As for how the situation is going to develop, there is no limit to discussion, dialogue and negotiation. We see it as a test for ourselves, for our patience and endurance. Throughout our history, we have managed to prove to the world that Iran does not give up in the face of suppression and hostility. No threats and no pressure can shake our sovereignty and independence. We are ready to pay any price and withstand anything! Let the West come and see whether Iran has backed off in the face of pressure and sanctions, or moved further on. They will see with their own eyes that Iran has moved ahead a great deal. There is no point in being enemies with Iran. I tell them that the more they threaten us and push us, the more determined we become to move on. 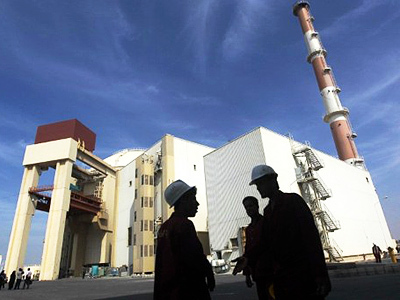 RT: When is the nuclear power plant in Bushehr going to hit reach capacity? AAS: As for Bushehr, all works there were over when vapor was supplied to the reactor’s core and the turbine began operation. All these stages are progressing well. This allows me to say that the station will begin operation in test mode: it will generate electricity and distribute it via national power grids. As for the station itself, everything is complete and I don’t see any problems with regards to its operation. Iran is using its own experience to develop the Arak reactor, which it’s planning to launch in the next three or four years. 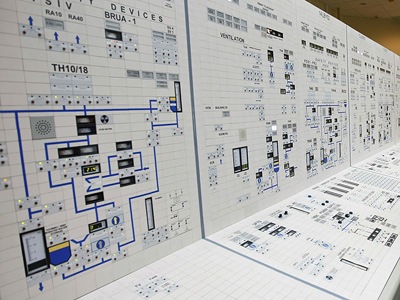 This reactor can generate 45 megawatts. RT:What decision did you make following Russia’s proposal to settle the nuclear dossier issue? What are the main provisions of this proposal? What do you think about it? AAS: First of all, I would like to thank Russia for its constructive efforts aimed at finding a settlement to Iran’s nuclear program. As far as we are concerned, we consider this proposal to be a step forward for breaking the deadlock. That’s why we view Russia’s proposal as a positive step. 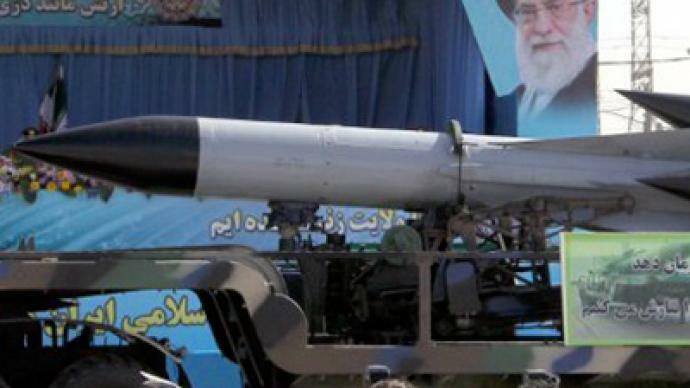 However, while Iran seeks a new initiative to settle its nuclear problem, the West continues claims that Iran is producing missiles capable of carrying nuclear warheads. This kind of behavior convinces us that the West does not want a fair solution, that it wants Iran to succumb to Western influence and obey its orders. But Iran is ready for negotiation and co-operation with any parties in accordance with IAEA rules, based on a new initiative to be put forward. RT: What was Moscow’s rationale for supporting Iran on its nuclear issue? What common interests are there between Russia and Iran? AAS: Clearly, Russia is a very important neighbor of Iran. And in my opinion, Iran is the most significant neighbor for Russia. It’s a reality that history confirms. Looking back, we realize that the US used all its means and ways in attempts to dismantle the Soviet Union. Today Russia is a strong country on the international arena, from political, economic and military viewpoints. And, since the US wants to consolidate its dominance in the world, it intends to tie hands, or defeat its only military rival, Russia. Therefore, it has expanded NATO’s sphere of influence in order to approach Russia’s borders. Why? They want to exert pressure on Russia, because there are no other countries around Russia’s borders, save Iran, that would be defiant to the West. Establishing Western rule over Iran would solve this problem for them; this would allow NATO to encircle Russia completely. Let us try and imagine what would happen if Iran were to fall back under Western influence. In this instance, NATO would completely surround Russia. 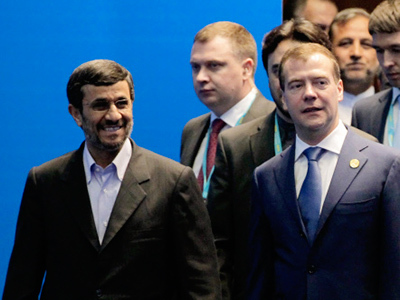 Therefore, Iran is vitally important for Russia, and vice versa. I believe that Russia and Iran need each other. But Russia may be concerned that Iran can return under the Western influence. I want to tell our Russian friends that this will not happen. I am very optimistic about the prospects of Russia-Iran relations. And the future will prove me right. RT: Does Iran believe that Moscow’s support will continue, particularly with regard to Iran’s nuclear profile? AAS: We are convinced that Russia will keep supporting Iran’s position. We have no worries about that. RT: What can you say regarding Iran-US relations? Does Iran intend to resume them? AAS: We have stated time and again that Iran wants to have good, reasonable relations with all countries except for the Zionist state. As for our relations with Washington, they will depend upon US actions toward Iran. If they remain hostile, there will be no relations, period. However, if Washington changes its attitude toward Iran, and replaces hostility with a sense of equality and respect for Iran’s sovereignty and independence, then the essence of our relations will change. 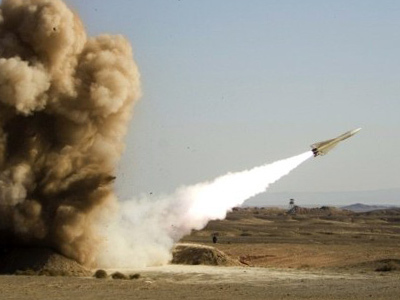 Unfortunately, there is no evidence that the US is ready to put an end to its enmity against Iran. America’s actions in its wars against Afghanistan and Iraq speak for themselves. Innocent civilians are being killed in those countries. Certainly, what I’m saying does not apply to the American people. We respect the people of America and the American public for their enormous contribution to global industrial and technological development. Therefore, I address my words to the US government, and I believe that its policies are unreasonable and based on the logic of force. This is absolutely unacceptable to Iran. RT: Let us take a look at what is going on in Syria. How is the situation in Syria different from that in Iran? AAS: As far as Syria is concerned, we should carry out an accurate and reasonable analysis of what has been happening in that country. Iran supports any mass revolutionary action as long as they pursue legitimate demands, as was the case in Tunisia, Egypt, Yemen, or any other country – but only on condition that such protest activities should be free of foreign interference. Iran does not tolerate meddling in other countries’ internal affairs with regard to its own foreign policies, and we maintain the same approach vis-à-vis other players. If there are mass protests in Syria and their demands are legitimate, we will stand by them. But when we see the deliberate misrepresentation of the Syrian people’s demands by external forces, that is unacceptable, and Iran emphatically condemns such action. What we see here is a clear picture of foreign involvement serving colonialist interests. The present government of Syria, and particularly President Assad, had pledged to ensure their citizens’ rights, and they have delivered on a lot of their promises. Syria is currently in the middle of crucial political and economic reforms that are yet to be evaluated. I believe that with wise leadership from Bashar al-Assad, Syria will eventually come out of this trial even stronger, and will regain its stability and prosperity. Syria plays a very important role in the region. 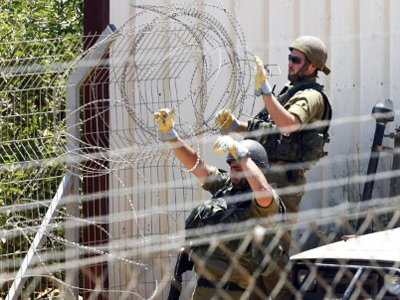 It has significant influence in the Middle East, being at the forefront of resistance against the Zionist “state”. And the pressure currently exerted on Syria is directly related to this country’s role in such resistance. You can be sure that if Syria were to manifestly give up this role, the pressure and the sanctions against it would seize immediately. But I am sure that Syria will make it through this difficult period and preserve its position in the region. RT: Washington has accused Iran of sending a special squad to help suppress the protests in Syria. What is your response to such a claim? AAS: Washington blames Iran, and Islam in general, for everything that is happening in the world. The US behaves as an aggressive and belligerent power, and it seeks to condemn any nation that opposes it, blaming all the current crises and tribulations on such nations. Therefore, Iran pays no attention to the accusations coming from Washington. RT: The Palestinians are currently intending to persuade the international community to recognize the Palestinian state in its 1967 borders. What is Iran’s attitude toward this issue? Do you support the Palestinians in their policies? AAS: We are convinced that the whole of the Palestinian land belongs to all Palestinians, and we will not accept anything that would involve a mere part of Palestine. We will only accept a single and undivided Palestine. In Iran’s opinion, Palestine belongs to the Palestinians, regardless of whether they are Muslims, Christians or Judaists. Therefore, we welcome and support any measures aimed at bringing about a Palestine for all Palestinians. RT: What is the current progress in restoring the relations between Tehran and Cairo? AAS: We have had successful negotiations with a number of Egyptian politicians. The Egyptians have confirmed that they are willing to restore relations with us. 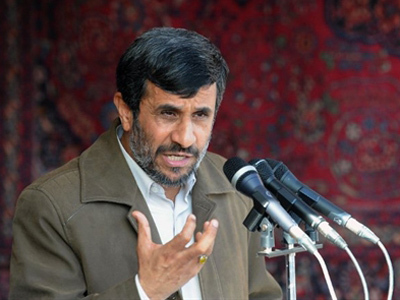 Tehran considers these statements to be a testimony of goodwill, and we want the same. I expect our relations with Egypt to return to normal soon, by way of exchanging ambassadors and re-establishing diplomatic missions in our respective capitals.